In addition, there will be a Professional Development Workshop on June 4th from 1-5 that will be open to the public for a fee of $10 which will include lunch and seminars on career topics in the field of orchestral music. 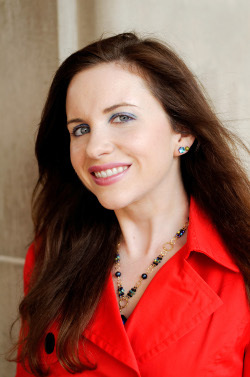 Jennifer Bellor is currently a Ph.D student in music composition at the Eastman School of Music. She received a Master of Music at Syracuse University, and a Bachelor of Arts at Cornell University. Her principal teachers were David Liptak, Robert Morris, Andrew Waggoner, Sally Lamb, and Steven Stucky. She also studied with visiting composers in residence at Eastman such as Shulamit Ran and Yehudi Wyner, and with Sydney Hodkinson at the Aspen Music Festival as a Susan and Ford Schumann composition fellow. 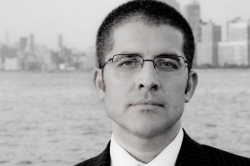 Recent composition prizes include Howard Hanson Orchestra prize in 2012, the Belle S. Gitelman Award in 2011 and the Bernard Rogers Memorial Prize in 2008 and 2009. She is currently on the faculty at Nazareth College teaching composition, orchestration, and undergraduate music theory. In addition to teaching, she enjoys coordinating and producing concerts. Her most recent concerts include the Composers' Sinfonietta concerts at Eastman 2010-2011, and her showcase On Tap: Original Music with Dance that was presented on the Rochester Fringe Festival 2012. She also acts as concert office Programs Coordinator at Eastman. Jennifer writes: Crystal Skies was inspired by my experience skydiving for the first time in upstate New York. It was a chilly November day, and as the airplane ascended into the air, it became even more freezing thousands of feet above the ground. When the door of the plane opened and I stepped out onto the ledge, I couldn't wait to fall backwards and sink into the clouds. The freefall lasted approximately one minute, and then I felt like was just floating in the air. In my piece, I wanted to capture that feeling of being suspended in the chilly sky, as if I was flying. The string textures reflect the icy sky, portrayed by the artificial harmonics and ornamented lines that weave in and out of each other. The woodwinds represent birds gliding in the sky, and for a moment, I felt like a bird as I was slowly descending down to the ground. 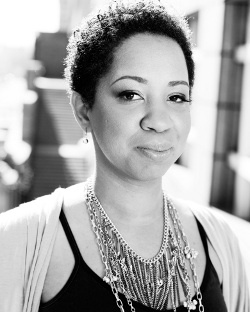 Courtney Bryan, a native of New Orleans, La, is “a pianist and composer of panoramic interests” (New York Times). Her compositions range from solo works to large ensembles in the jazz and new music idioms, film scores, and collaborations of dancers, visual artists, writers, and actors. She performs around the New York area, and is the organist and director of the Institute of Sacred Music at Bethany Baptist Church of Newark, NJ. Courtney has academic degrees from Oberlin Conservatory '04 (BM), Rutgers University '07 (MM), and Columbia University '09 (MA). Recently, Courtney was a Visiting Instructor at Oberlin Conservatory. Currently, she is pursuing a DMA in music composition at Columbia University of New York. She has two self-released recordings, “Quest for Freedom” (2007) and "This Little Light of Mine" (2010). Originally from Germany, Ingrid Laubrock lived in the UK from 1989 - 2009 and is since then residing in Brooklyn. She studied Jazz at the Guildhall School of Music and Drama (London), saxophone with Jean Toussaint and David Liebman and composition with pianist/composer Myra Melford. Ingrid has performed and recorded with: Anthony Braxton, Dave Douglas, Kenny Wheeler, Jason Moran,Tim Berne, Mark Helias, Michael Formanek, Mary Halvorson, Tyshawn Sorey, Evan Parker, Steve Beresford, John Edwards,Veryan Weston, Luc Ex,Django Bates’ Human Chain, The Continuum Ensemble and others. The original inspiration for my piece, Vogelfrei, were photos I took of the various shapes and patterns formed by overground train electrical wires. In 2012 I spent several months in Moers/Germany as an artist in residence. Moers is a town on the edge of the Ruhr valley, an old industrial and coal mining region which has an extensive rail network. I love the seemingly endless combinations of the electrical wires and connectors suspended in the air which are interrupted by pylons and masts and I tried to capture this texture in my composition. I grew up in Germany and my piece also tries to mirror the feelings of both unrest and yet deep familiarity I was experiencing while being in Germany again after not having lived there for 23 years. 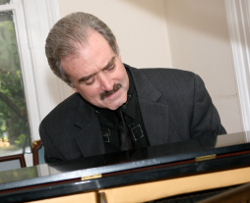 Andy Milne is considered one of the most respected voices in jazz today. 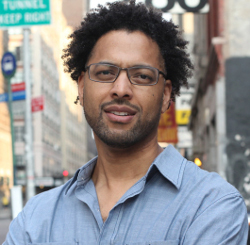 He composes for multiple projects, including his group Dapp Theory, which lives at the meeting-point of lyrical jazz piano, funkified polyrhythmic exploration, and spoken word poeticism. Milne has toured and recorded with Ravi Coltrane, Ralph Alessi, Carlos Ward and Carla Cook and was at the core of saxophonist Steve Coleman's groups during the 1990s. He has also collaborated with Sekou Sundiata, Avery Brooks, Bruce Cockburn, Geri Allen, Archie Shepp, Joe Lovano, Greg Osby and Cassandra Wilson. In 2012 he was commissioned by The Japan Foundation and New Music USA to create the multi-disciplinary work Strings and Serpents. 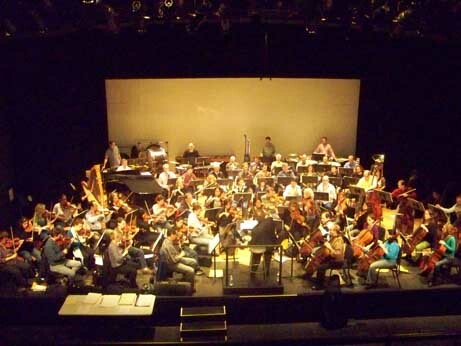 Recipient of the prestigious Civitella Rainieri fellowship, and the recipient of numerous commissions and awards, Milne also composes film scores for William Shatner. 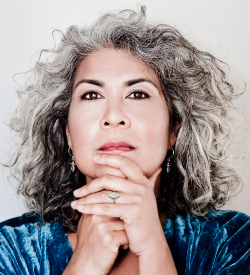 Sumi Tonooka has been called a “fierce and fascinating composer and pianist” (Jazz Times), “provocative and compelling” (New York Times), and “continually inventive, original, surprising, and a total delight,” (Cuadranos de Jazz, Madrid). Working in trio or quartet Tonooka's recordings characteristically blend her own compositions with highly personal readings of jazz standards. Her recent quartet recording, Initiation garnered an “Honorable Mention” the 2010 Village Voice Jazz Critics' Poll. The readings are free and open to the public. No ticket is required but reservations are recommended.